As the days grow shorter and the weather a tad cooler, we at Zamberlan USA get pretty excited. 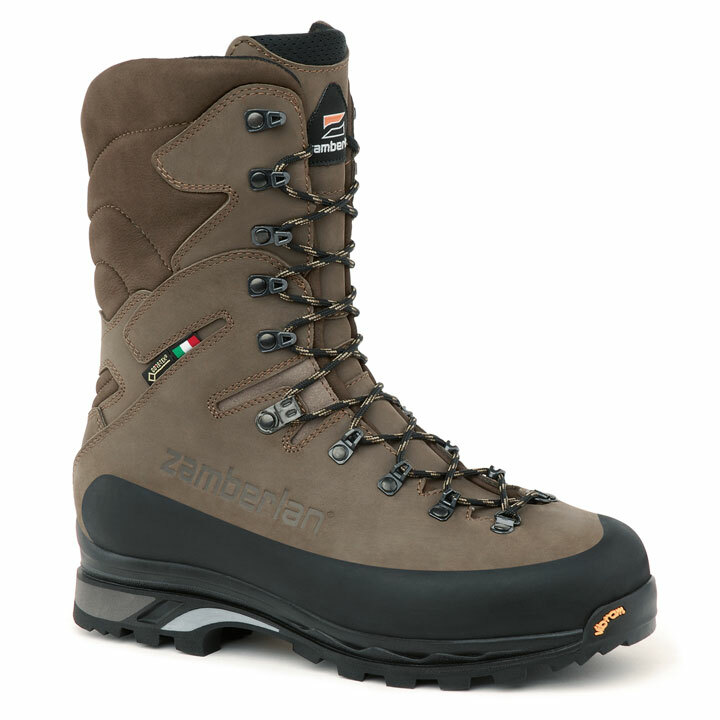 Whether that means fall hikes, the start of hunting season, or outdoor work in the crisp, fresh air, Zamberlan has the right boot for your needs. Zamberlan USA has an array of new styles for Fall 2018, all of which embody Zamberlan USA's commitment to best-in-class quality, craftsmanship, and performance. We're introducing a number of new models emphasizing clean, reliable design like in our new Vioz Hike. Also returning is the all-rubber outsole, the undisputed king of durability, comfort, and grip among midsole materials as found in the all-new tall Kodiak and hiker-cut Sequoia. We've also got a new range of insulated boots. Both the hiker-cut Lion and a taller 9-inch Smilodon (meaning saber-tooth tiger) are made with Gore-Tex Insulated Comfort membranes and our new Shark Camo leather pattern. Both are perfect for cold weather hiking and above-the-timberline mountain hunting applications. Speaking of high-altitude, be sure to check out the Expert Pro, a great solution for the most technical of cold weather climbs and hikes. We hope you're as excited for Fall as we are. Our passion for bootmaking and all activities outdoors comes through in our boots and how we make them by hand to fuel your passion. All models are currently available through our professional channels as well as on our website. Also, we'd like to remind you to take care of your boots. The best pair of boots is the pair already on your feet. Take care of them through regular cleaning, conditioning, and maintenance. See our accessories section for replacement parts or talk to one of our cobblers about a resole. More information follows below. 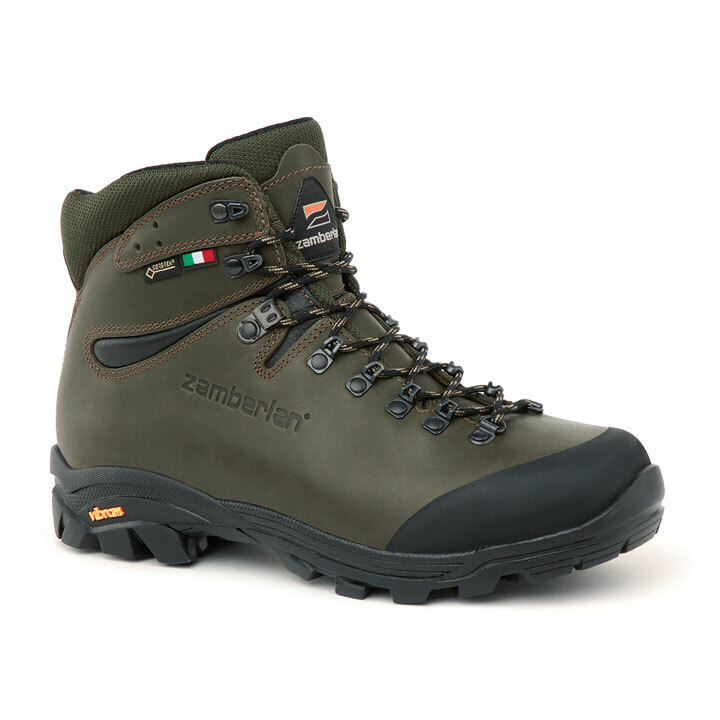 The new 1007 Vioz Hike GTX RRhas everything you want in a versatile and durable hiking boot and nothing you don't. Clean one-piece design, all-rubber Vibram Grivola outsoles, a rubber toe rand, oh, and the return of a Zamberlan favorite - Waxed Forest full grain leather. 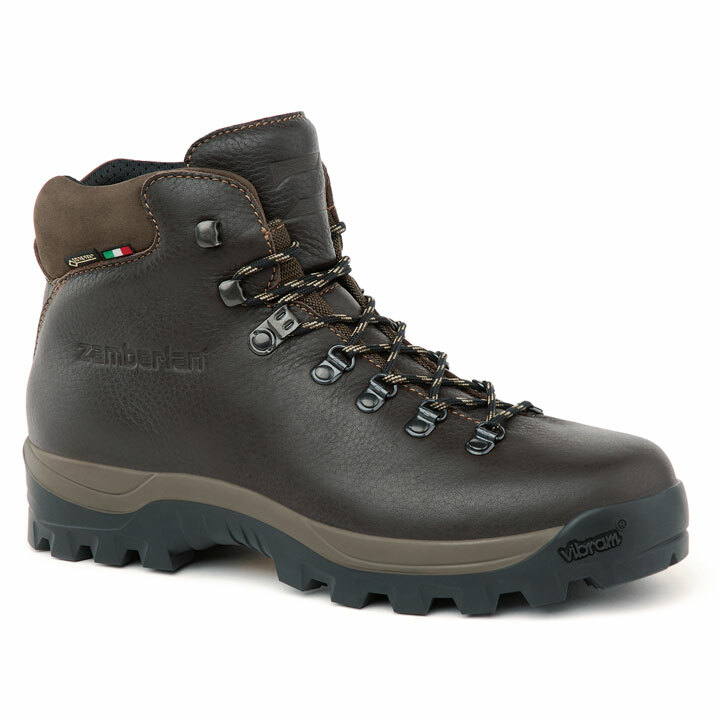 The new 5030 Sequoia GTX hiking boot was made with outdoor work in mind. Whether spending long days hiking forestry service routes, raking leaves, or gathering the guys for a turkey hunt, the Sequoia is ready with all-day support and comfort. The rubber Vibram Schwarzvald outsole is soft, grippy, and foot-friendly. The new 1101 Kodiak GTX RR is a different twist for Zamberlan hunters as it combines single-piece upper design with a slightly softer all-rubber midsole for added comfort. The classic styling and rugged design make the Kodiak a nasty-tough boot for the serious hunter both on and off the mountain. The legendary 960 Guide GTX RR is now available in a new Wide Last, fitting up to an EE width. The wide-sized Guide is available in a new Dark Brown nubuck leather and features the same well-known fit, performance, and quality as always - not to mention exclusive Vibram outsoles and Gore-Tex protection. 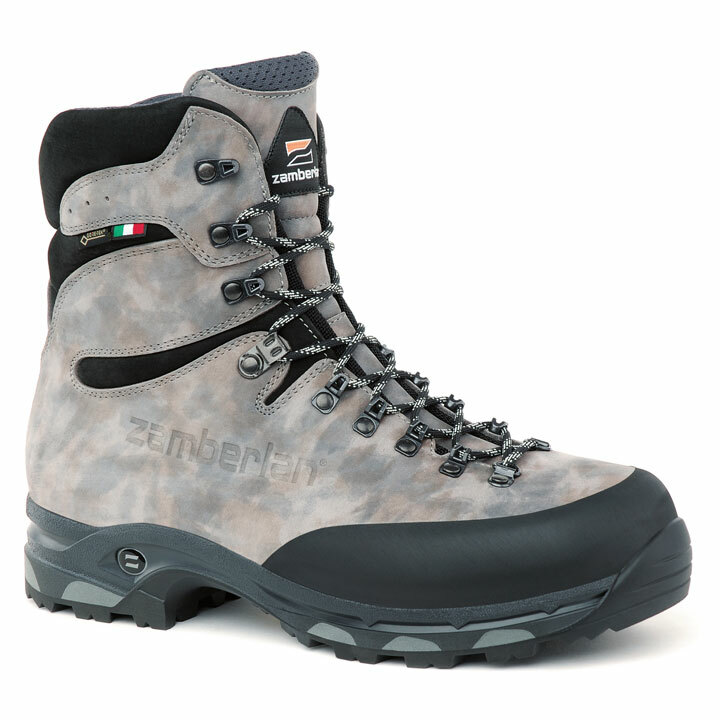 The new 1017 Smilodon GTX RR is the ultimate cold-weather mountain hunting boot. Featuring a unique Shark Camo coloration, the Smilodon is insulated with Gore-Tex Insulated Comfort membranes and sits on top of the ever-popular and ultra comfortable Zamberlan Vibram Darwin outsole. 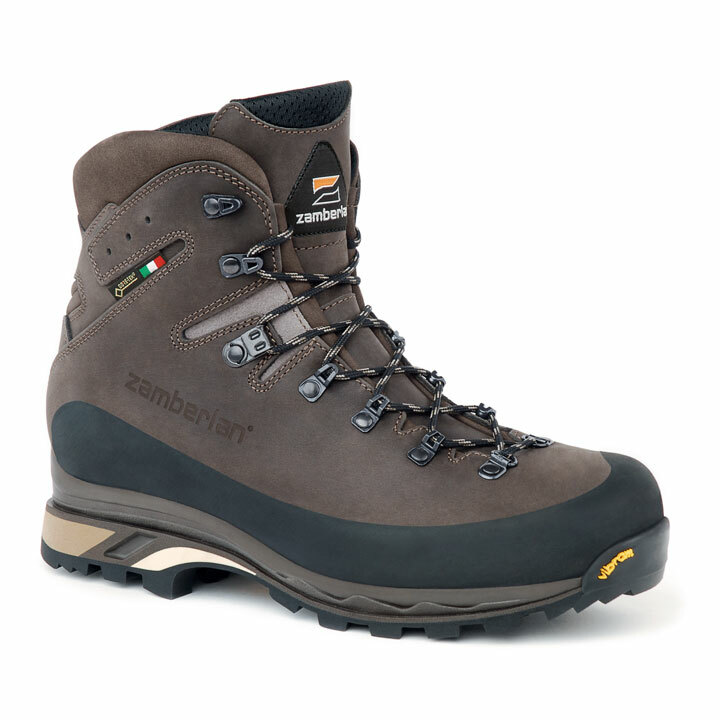 A great cold-weather hiking and hunting boot, the 1016 Lion GTX RR offers versatility for a range of mountain activities. New Shark Camo coloration in 2.8mm nubuck leather is combined with a robust toe rand and the Zamberlan Vibram Darwin outsole for three-season, robust performance. Zamberlan's best-selling hunting boot, the 980 Outfitter GTX RR has a legendary reputation for excelllent comfort and exceptional performance in a variety of mountain conditions. An excellent boot for elk, mule deer, moose, bear, sheep, and other hunting across the Western Rockies and Eastern Appalachia. 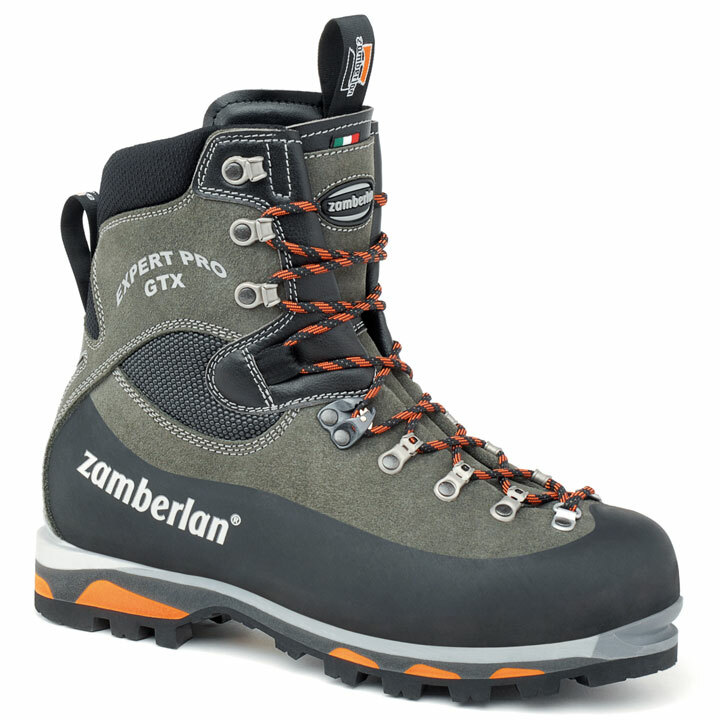 The revamped 4042 Expert Pro GTX RR takes the former Expert Ibex to new levels with improvements to the upper materials, including the use of Scholler's ceramic-Cordura material. 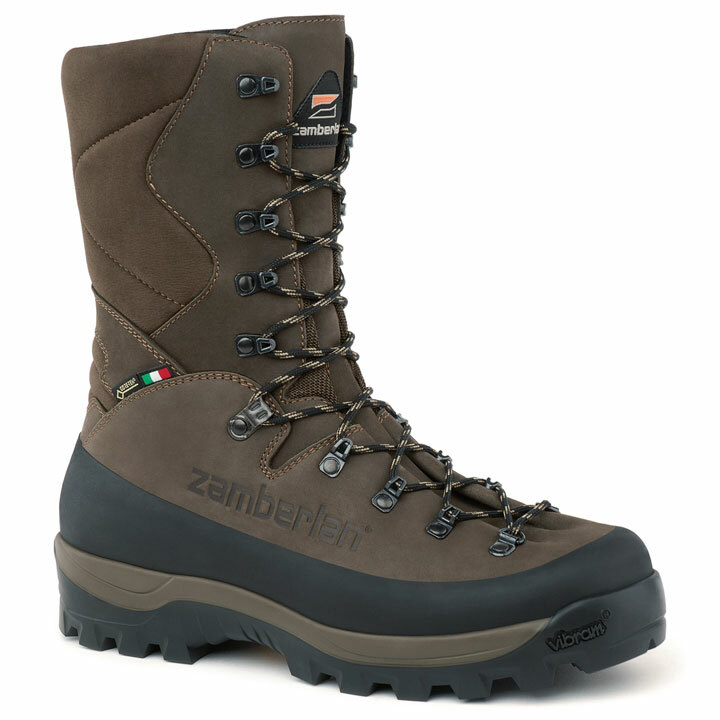 These rigid boots are perfect for climbing into high mountain areas or for sheep and mountain goat hunting in extreme conditions. Fall is a great time for boot maintenance, and taking care of the leather uppers is the most critical aspect of boot care. 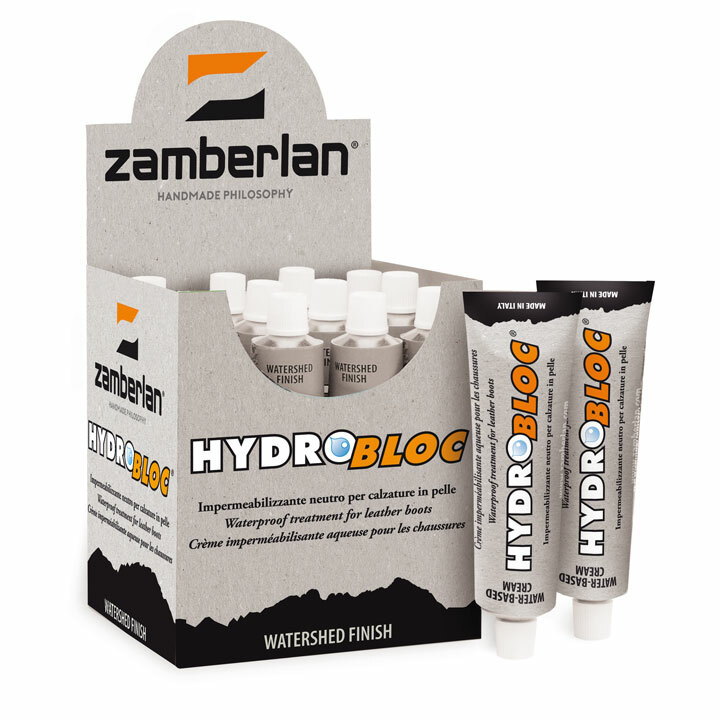 Start with great boot care products like Zamberlan Hydrobloc, replacement footbeds, and replacement laces. 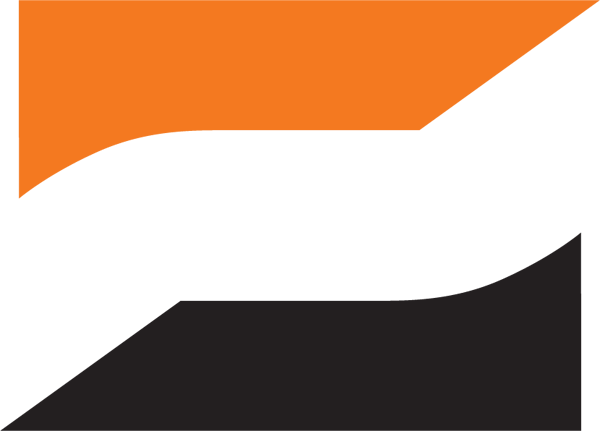 Whatever you do, be sure to check out our boot care articles below, as well as other great resources in our Knowledge Center. We also have new closeouts for both men and women available at great prices, while supplies last.